이것을 영어로 하면 어떻게 표현하지요? They say records are made to be broken. 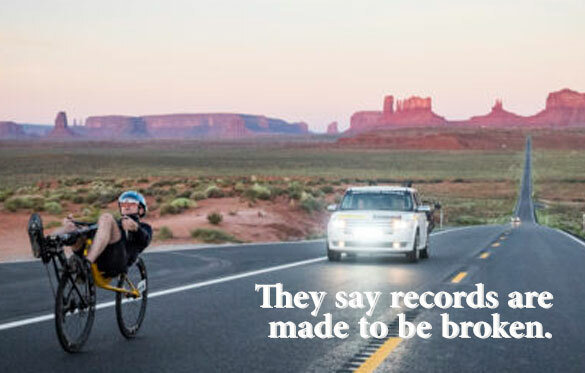 They say records are made to be broken, and the Cruzbike team did just that this year. Read Jim's latest blog for the highs, the lows and the flat out fast. Race Across America 2017 is in the books. « Prev 내 귀를 의심했다 !